Shamrock Can Handle Any Plumbing Job You Have – Call Today! Plumbing repairs are likely something you don’t want to deal with, and finding one in your home or business can be incredibly frustrating. Whether money is tight or you just don’t want to make an appointment, plumbing problems are bad news. This is where we come in. Not only have we been Utah’s trusted plumbing contractor for over 30 years, but we offer competitive pricing for all of our services. 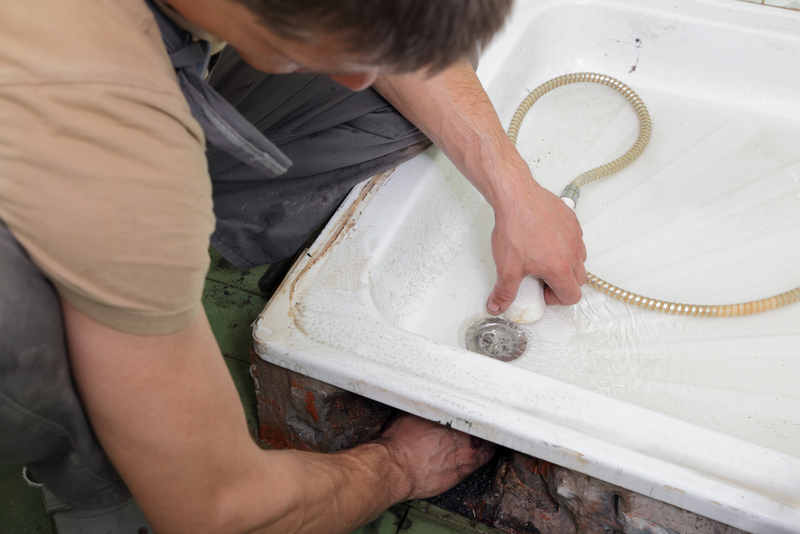 We believe that quality plumbing can both increase the value of your home as well as provide you with ease of mind. These services are only a few of what we can do for you. We’ve been in the plumbing industry long enough to recognize a plumbing issue quickly, and determine exactly what needs to be done to ensure your home or business won’t have future problems. We advocate for quick and accurate diagnosis, quality service, and quality checking once the job is done. This method is proven to work for our customers and we know that every job we’ve done has increased the value of the property for future buyers. We also offer commercial services! If you’ve recently found the perfect location for your new business but are being held back by irritating plumbing problems, don’t lose sight of your dream. Give us a call and we can install, repair, or remodel your plumbing so your new business is running smoothly, just like your pipes! We understand that plumbing can sometimes be a huge worry or hassle that you think you don’t have the time or money for. We will take the time to go over everything with you before a job so you know exactly what we’ll be doing as well as inform you of our process as we’re doing a job for you. We are happy to let our customers know what is going on because we believe that customers should be fully aware of what they are paying for. Just give us a call today, or fill out the form to see how Shamrock Plumbing can take the weight of that repair job off your shoulders! You can call us anytime at 801-505-9505.